King County Sheriff’s Office Guardian 2 helicopter responded to Snoqualmie Pass on Saturday afternoon, January 25, 2014, to assist in the rescue of an injured skier at Snow Lake. Initial reports said the skier may have sustained a broken back. 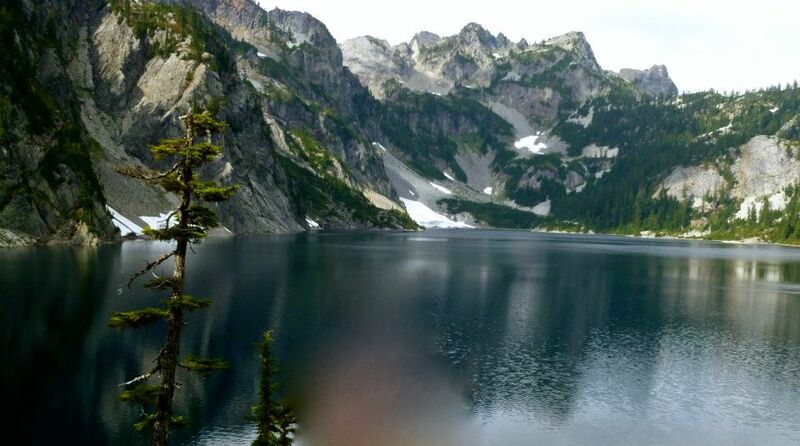 According to Washington Trail Association, the Snow Lake Trail is the state’s most heavily used heavily used trail within a designated wilderness area,with Snow Lake surrounded by numerous granite peaks. The 61-year old man was back country skiing in the area when he fell 400 feet off an ice cliff on a southwest slope adjacent Snow Lake, at 4500 feet in elevation. Guardian 2 and search and rescue crews hoisted the injured man to safety and transported him to Harborview Medical Center in Seattle with numerous injuries. The man’s condition is unknown at this time, but King County Sheriff’s Office Sergeant, Cindi West, said the man’s helmet most likely saved his life. You can watch a video of the helicopter rescue hoist HERE. 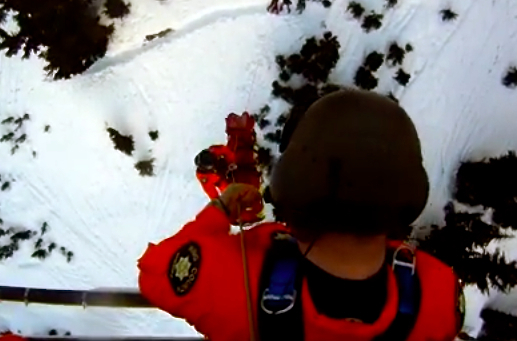 Search and Rescue crews, Guardian 2, hoist injured skier from Snow Lake, 1/25/14. Photo: Screenshot KCSO YouTube video.